As we've seen locally with the Bakersfield Library proposed closure, Councils are faced by difficult choices when central grants are cut by the Government. 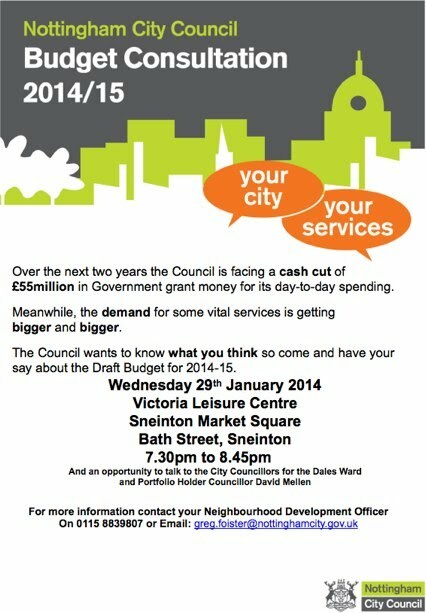 "Please find attached the flyer for the Draft Budget Consultation that the Locality Team are organising. The meeting will take place on the 29th January, at 7.30pm, at the Victoria Leisure Centre. Could you please display this where you can, tell your neighbours and come along. Many thanks for your help with this, we look forward to seeing you." Mobile: (with answer phone) 07940761114.